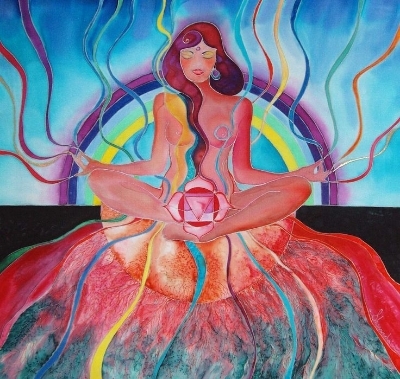 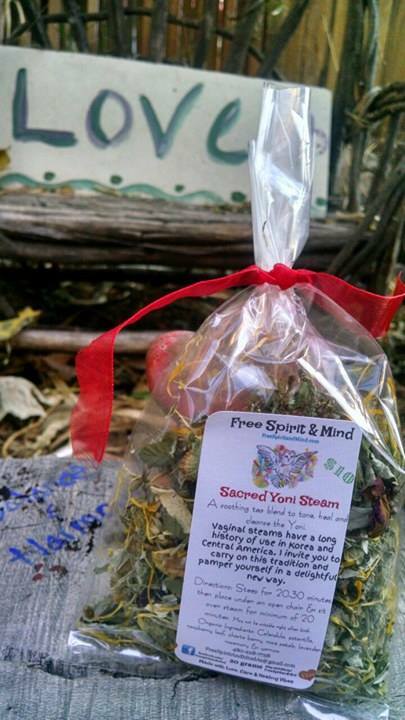 Sacred Yoni Steam - Free Spirit & Mind! 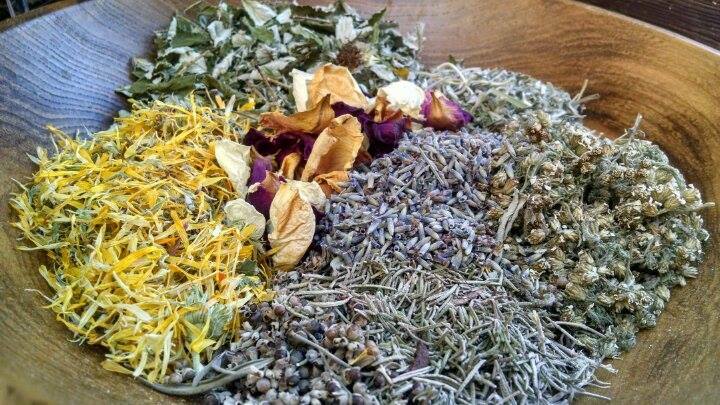 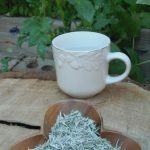 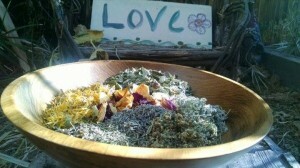 Sacred Yoni Steams offers a soothing tea blend to tone, heal and cleanse the Yoni. 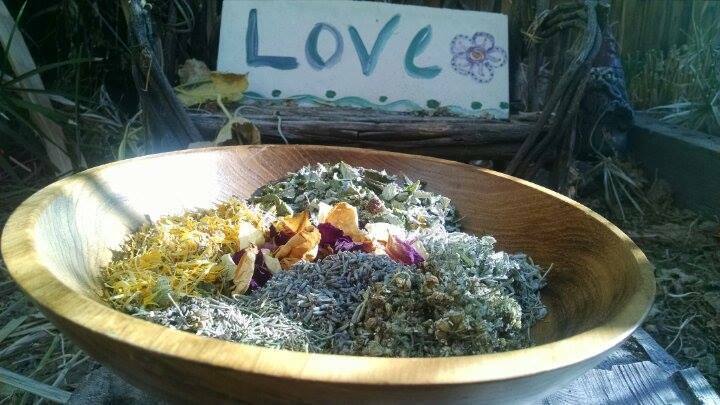 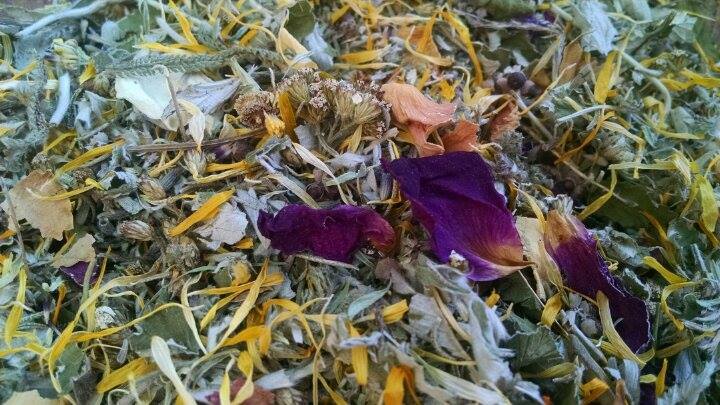 Organic Ingredients: Calendula, potentilla, raspberry leaf, chaste berry, rose petals, lavender, rosemary, yarrow, Love, Care & Healing Vibes. 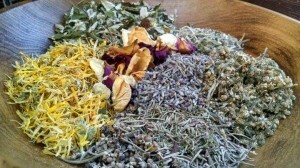 Directions: Steep for 20-30 minutes, then place under an open chair & sit over steam for minimum of 20 minutes. May not be suitable right after birth. 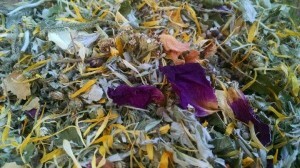 Organic Ingredients: Calendula gg, potentilla wc, raspberry leaf (Rubus idaeus) wc, rosepetals gg, lavender (Lavandula) ss, rosemary (Rosmarinus officinalis) gg, yarrow (Achillea millefolium) wc, Chaste berry (Vitex agnus-castus) gg, Love, Care & Healing Vibes. 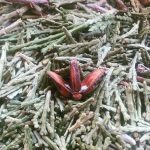 Promise: We ensure all our products are sustainably crafted, are 100% Organic & are either Wild-crafted, Garden grown or Sourced from reputable retailers. 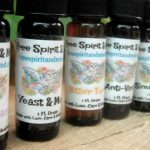 Made with 100% Certified Organic Grain Alcohol (unless otherwise specified).